Professor Erin Celello has written some deeply thoughtful books that get you pondering, which might be great for late summer reading. 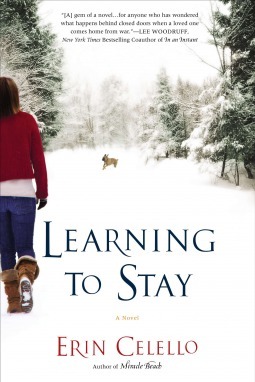 Learning to Stay, Celello’s most recent heart wrenching novel, is about lawyer Elise Sabato, her husband Brad, and a dog named Jones. As the book opens, Brad is stationed in Iraq and Elise is at home in the States. Soon enough though he returns home a changed man, suffering from both a traumatic brain injury and PTSD. Things could not be more different than when he left and Elisa finds herself facing the schism between her ideal life and her new reality. When Jones comes along he helps her realize that life is full of twists and turns and sometimes you end up right where you were meant to be. Click here to read a Learning to Stay excerpt. Miracle Beach is Celello’s moving debut novel, about equestrienne Macy Allen and her husband Nash, who’s already died in a tragic accident by the time the first chapter has begun. He is not forgotten though as his secrets are soon revealed and influence what is to come. Similar to her latter novel, here the main character questions the tenets of her marriage and, instead of a dog, a child changes expectations. 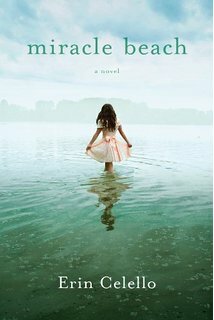 Click here to read a Miracle Beach excerpt. On Celello’s website you will find conversation guides with questions to ask yourself or your book group as you think through her novels. In this “Conversations from St. Norbert College” video, Erin Celello talks about how her personal experiences influenced the writing of Miracle Beach. This entry was posted in summer reading and tagged erin celello, fiction, learning to stay, miracle beach, novels. Bookmark the permalink.